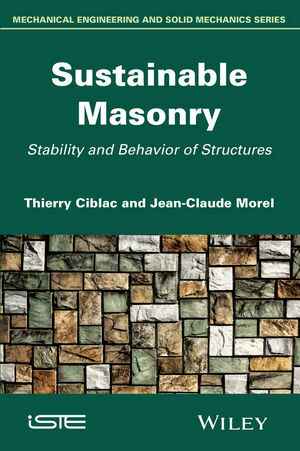 This book covers the impact of sustainable masonry on the environment, touting the many benefits of utilizing local and/or low embodied energy materials in the construction of sustainable buildings. 1. Introduction to Sustainable Masonry. 2. Earth and Stone Materials. 3. Blocks: The Elements of Masonry. 5. The Foundations of Graphic Statics. 6. Reduction and Equilibrium of a System of Forces in a Plane. 8. Projective Properties and Duality. 9. Principles of Yield Design. 10. Stability of Curvilinear Masonry. 11. Homogenization and Yield Design of Masonry.